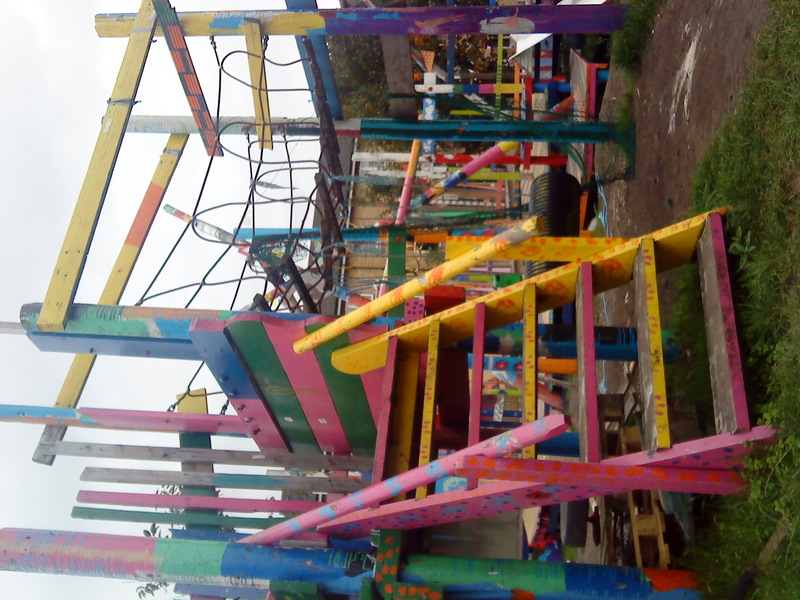 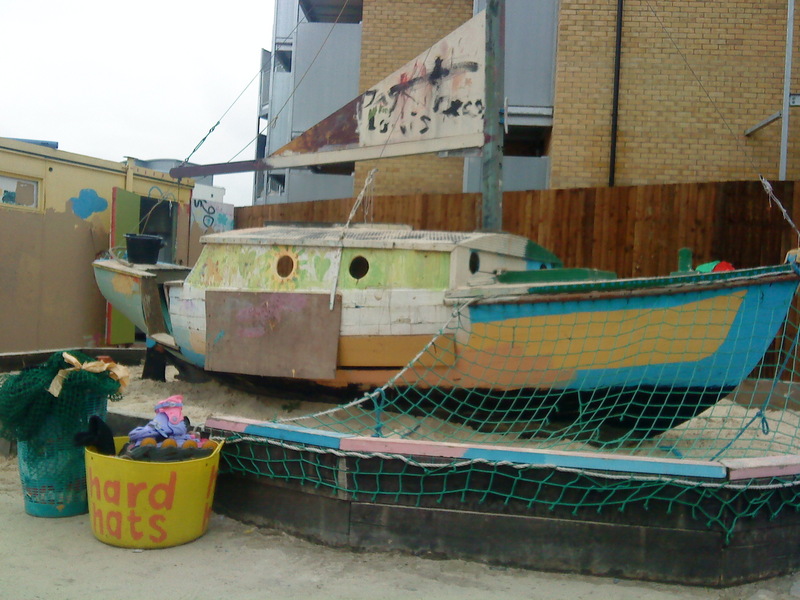 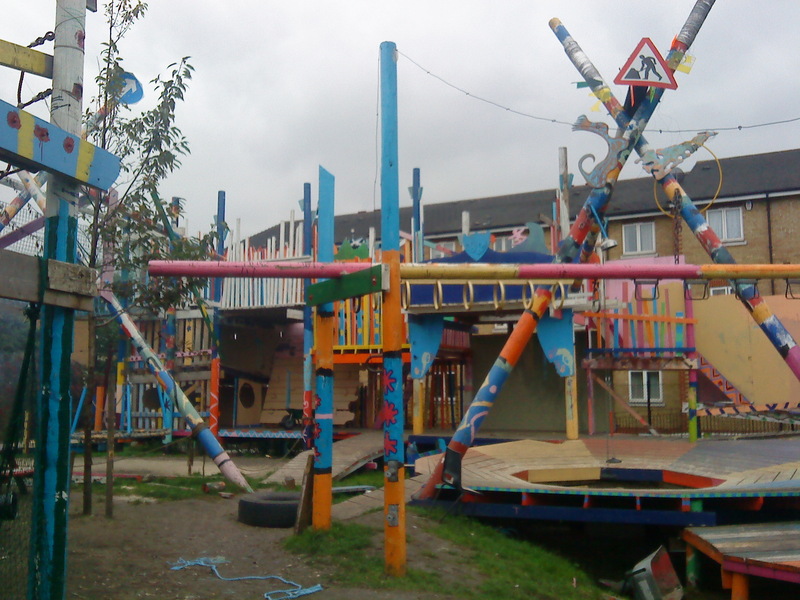 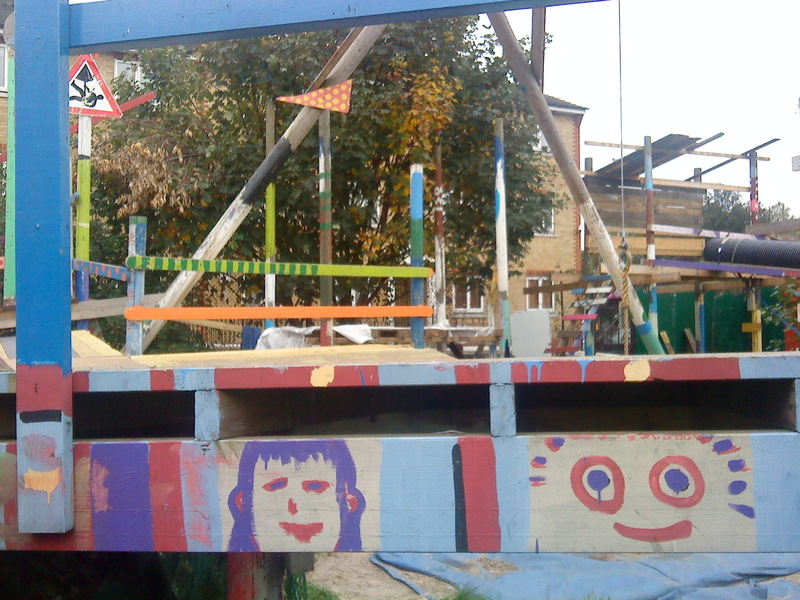 It seemed only fair to follow that series of lengthy and serious-minded posts with some bright pictures of Glamis Adventure Playground, in Shadwell, East London. 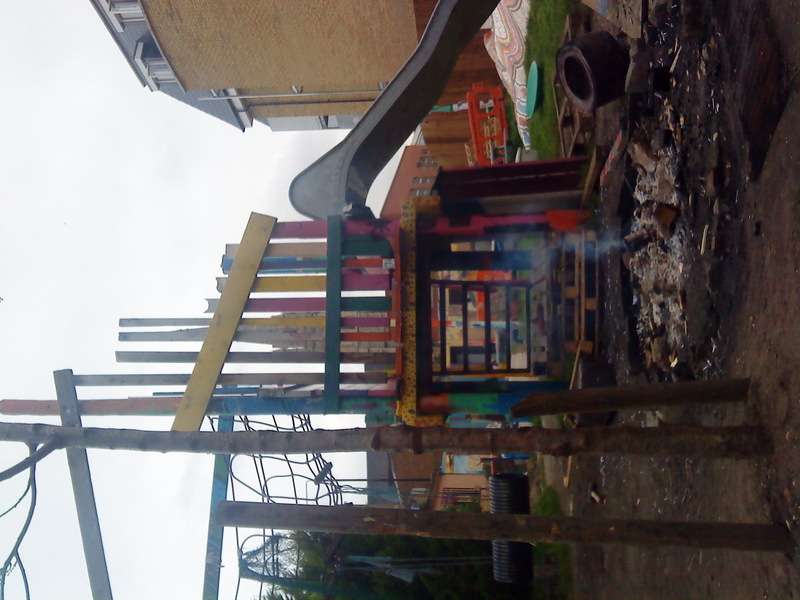 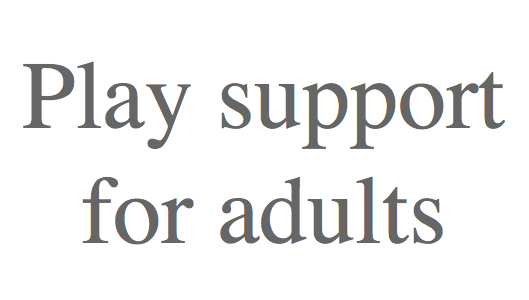 They were taken in that anticipatory lull after the site checks – but before the children arrive. 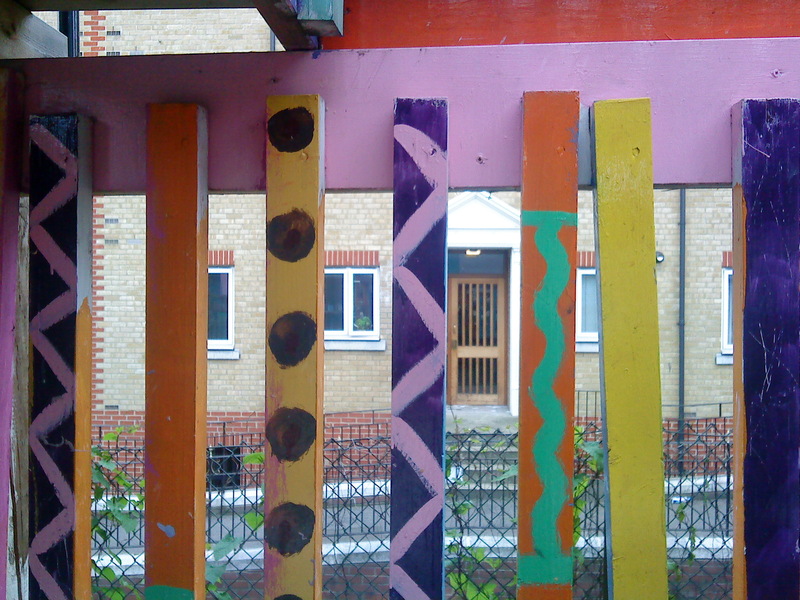 I only wish I had a picture that showed how this place shone, giddy with colours, in the grey high rise surroundings. 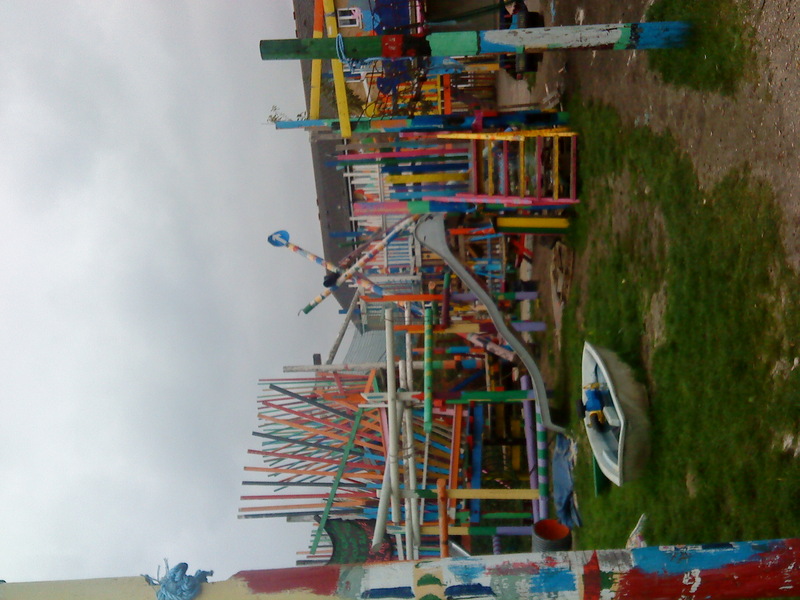 Pingback: Swings and Things in the Glamis Adventure Playground | Creative STAR Learning | I'm a teacher, get me OUTSIDE here!